Savvy Spending: Lane Bryant: New $10 off any purchase code with Text! 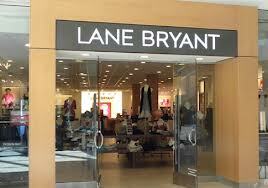 Lane Bryant: New $10 off any purchase code with Text! You can text MOBILE to 552255 to get a unique Lane Bryant coupon code for $10 off any purchase (in-store only). I use this code for free clearance items or accessories, like the nail polish sold at the registers! Please note that this subscribes you to their texts, but you can unsubscribe at any time by texting STOP. Valid through May 13, 2017.